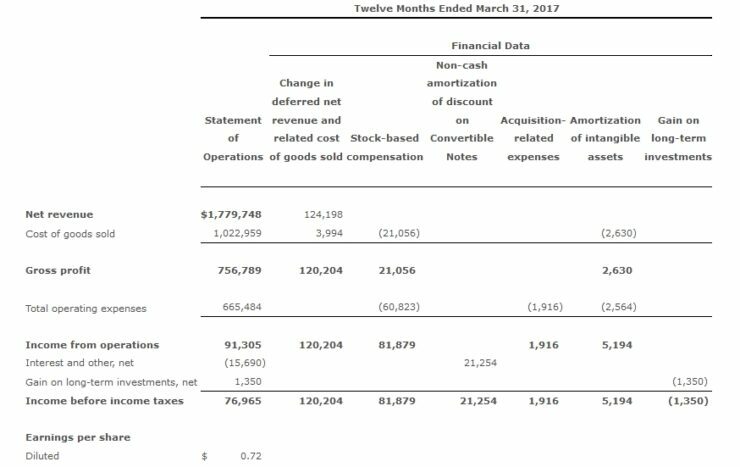 Take-Two Interactive's 2017 Financial Year Results - Optimistic for the Future? Take-Two Interactive’s 2017 Financial Year Results – Optimistic for the Future? Take-Two Interactive (NASDAQ:TTWO) have released both their fourth quarter and 2017 financial year results. While the delay of Red Dead Redemption 2 will have both disappointed fans and the company alike, Take-Two are still expecting a strong year with an even stronger 2019. For the current financial year, Take-Two has seen a 26% year on year increase in revenue, generating $1.78 billion. Net income saw a figure of $67.3 million, compared to last years net loss of $8.3m. 2017 has seen a strong year for the company with continued support of older titles, as well as new releases. Grand Theft Auto V is achieving constant success, reaching total sales of over 80 million copies worldwide this year. The title has also acted as one of the largest digital revenue sources during the year. Other successful titles include the yearly entries of the WWE 2K and NBA 2K series’. Other large releases of the year also proved to be successful, such as Civilization VI and Mafia III, including their expansions. This support of older titles has been highlighted by 50% of digital revenue being from recurrent spending. Microtransactions in Grand Theft Auto Online, as well as expansions in other games have increased consumer retention and spending. What has been indicated as a strong title for the company is the mobile title WWE Supercard. Titles like WWE Supercard, Mafia III: Rivals and NBA 2K17 make up a growing selection of 2K’s mobile selection. While not explicitly divided, they are a part of the PC and other platform mix of revenue which saw a 72% year on year increase. One potential boon should come from February 2016’s acquisition of Social Point. The free-to-play developer should increase the company’s position in the web-based and mobile games areas. One large advantage for the company is the increase in digital sales. Revenues in digital sales have an added effect in increasing the company’s margins as costs are lower than traditional physical retail sales. Digital took a 49% of Take-Two’s revenue share in the previous year, taking 52% this year. The current financial year will be a relatively sparse one as a result of the Red Dead Redemption 2 delay. The release lineup is limited to this-years iterations of the company’s sports titles. Despite this slim list, expectations are to reach net revenue of roughly $2bn with profits of around $550m. 2019 is expected to be a highlight year for the company. Expectations are for revenues of over $2.5bn and profits of over $700m. These figures will be driven by the current lineup but also with the upcoming Red Dead Redemption 2 and a currently unannounced entry in a long-running franchise. 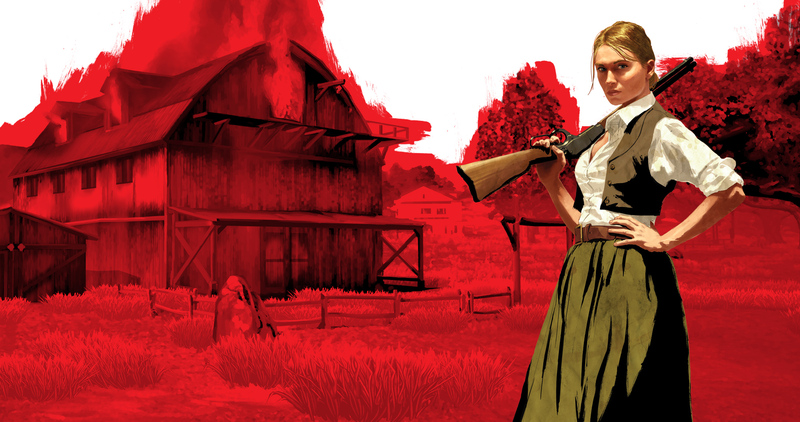 This was covered with the company stating “Looking ahead to fiscal 2019, we expect to deliver both record Net Sales and record net cash provided by operating activities, in excess of $2.5 billion and $700 million, respectively, led by the launches of Rockstar Games’ Red Dead Redemption 2 and a highly anticipated new title from one of 2K’s biggest franchises”. With only two releases penned for the 2018 financial year, these being WWE 2K18 and NBA 2K18, the company has to rely on its catalogue of older titles. There are plans in place that aim to increase recurring consumer spending. Titles like Grand Theft Auto V are showing to be resilient, despite being four years old. This will certainly benefit the company, though reliance on recurring sales of aging titles has its risks. The 2019 financial year, on the other hand, looks to be incredibly strong. Red Dead Redemption 2 has the potential to be Rockstar Games next blockbuster title. In addition is the unnamed release in a hit franchise. Should all go to plan, the year could be an incredibly strong one for the company.